Discover How Fun And Easy It Is To Play Delta Blues On Slide Guitar, Even If You Haven’t Picked Up That Old Bottleneck Slide In Years. With my approach to slide guitar, you’ll be playing authentic delta blues in the style of Robert Johnson and Blind Willie Johnson among others… without having to rely on jam tracks or a backup band, without having to read a note of music, and at your own pace, anywhere you choose. Now imagine that you heard Robert Johnson’s acoustic version of “Crossroads” the other day, and you immediately recognized it as the old familiar “Blues in E” rhythm. One after the other, you lay down a series of classic, authentic delta slide guitar licks, while Robert sings along. Before you know it, 30 minutes have gone by, that ice-cold beverage isn’t so cold anymore, and your old 6-string never sounded so good. Now what if I told you that not only can you learn to play the blues, there is a simple, step-by-step method for playing authentic acoustic delta blues slide guitar anytime, anywhere, without having to read a note of music, and without having to rely on jam tracks or a backup band. Because here’s one of the best things that most guitarists take for granted… you don’t have to plug in an acoustic guitar. It’s ready to be played anywhere! You can play in your office or play it on stage, you can play for a friend or for thousands of people, you can play it under a tree in a park or in a sold out stadium… An acoustic guitar is the most versatile instrument you can get. And a slide can fit in your pocket! It’s even more portable than your acoustic guitar… that’s all you’ll need to start playing authentic acoustic delta blues slide guitar today. The acoustic guitar and the blues go together like beans and cornbread… With an acoustic guitar, you can go back in time to when all a person needed was a guitar and a story to play the blues. My name is Griff Hamlin and I’ve been fortunate enough to make a career out of playing guitar, but even if it’s not how I made my living, I’d still be sitting at home playing on my old 6 string for my wife and son. Let’s face it… we don’t play because we can, we play because we have to. Now you might know me from one of my other blues guitar courses. 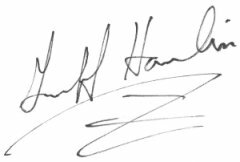 Since going online in 2006, my courses have helped over 21,116 guitar enthusiasts around the world. I have to tell you, I don’t think I had ever been so frustrated in my life. “How could anyone possibly learn this way?” I thought… In fact, I’m pretty sure I said it out loud even though there was no one in the room. I wasn’t looking forward to this because that meant hours of transcribing the recordings and writing them out by hand… and they are super hard to hear because they are so old. But wait! This was the “Internet age,” right? I’ll do like everyone else and find it on YouTube and the TAB on ultimate-guitar.com. Surely there are some good arrangements there and I can just fix them up like I used to for my private students all the time. So I headed over to a few different TAB sites and I started downloading some different versions of some tunes. … then I headed over to YouTube and I found the original recordings to work from. Cool, success! This was going to be easy. At this point I had listened to this song about 612 times and I had watched every single video on YouTube that even remotely had a title close to the title of the song. I had wasted at least 3 ½ hours and gotten exactly… nowhere. And I know you know that’s a lonely place to be when there’s something you really want to learn. 1. TAB sites and YouTube are user-generated content. There is no guarantee whatsoever that the person who posted that TAB or made that video knows the song or can play any better than you. Don’t assume that just because you downloaded a TAB that it’s correct. In fact, assume that it’s NOT correct! 2. Being able to play guitar requires basic skills and knowledge… things that are very difficult to get from doing nothing but learning songs. Because of what I know about playing guitar and music, my ear recognized the problems with what I was seeing vs. what I was hearing from the recording. Your ear probably isn’t at that point yet! It was the basics, the skills I’ve learned and the skills I teach day in and day out, which helped me learn the song I wanted to learn. Take the time to learn those skills before you try to learn the songs… save yourself TONS of time in the long run. Now of course, my hair has (mostly) grown back after that, but that frustrating experience of trying to learn an authentic delta blues song on slide guitar let me know one thing… there just isn’t much out there for someone who wants to learn acoustic blues guitar. And that’s why I created Acoustic Delta Blues Slide Guitar. 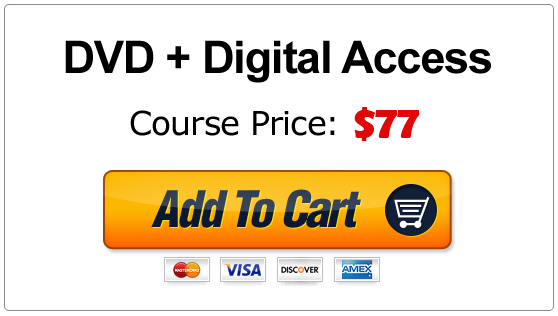 This step-by-step DVD instruction course contains everything you’ll need to really learn slide guitar inside and out. These are the exact same lessons that thousands of students, many of them just like you, have used to learn how to play acoustic delta blues slide guitar. “Where do I start?” – Most people have a hard time knowing where to start, and in what order to learn things. Should you learn the blues scale first? What about the different tunings? What chord shapes should you use? The list of questions is almost endless. 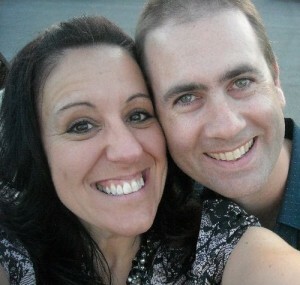 “I don’t have time.” – Listen, I’m a husband and a father too. I know that if it takes more than about 20 minutes a day, it ain’t going to happen! We all have responsibilities that make regular, weekly lessons with an instructor an impossibility, and playing time is usually stolen from some other chore around the house. “How do I use what I learn?” – Just because you learn a lick doesn’t mean you can use it. You need a method of taking it to different keys and different feels until it becomes part of your own personal vocabulary. Playing blues should be like talking to a friend. Discover the freedom you’ll have being able to play acoustic slide guitar anywhere. No more having to plug into an amp just to get a real guitar sound. You will be able to play the blues guitar anywhere from your front porch to the blues jam downtown to the recording studio to the stadium show you’re headlining. You’ll learn about the alternate tunings for delta blues slide guitar. Three of the most common tunings for slide guitar are standard, open G and open D. You’ll learn how to play in all three tunings effectively and efficiently. Discover how to set up your acoustic guitar to play with a slide. You’ll know how to set up your acoustic guitar to support playing with a slide. You’ll learn about all the different types of slides and how to choose the best one for you. Like everything to do with the guitar, there are a lot of choices to make when it comes to gear. I’ll go over all the different slides to choose from so you can make the best selection for your own playing. You’ll learn how to play acoustic delta blues slide guitar in the most popular blues keys: E, A, G and C. Learn how to play the blues chords and the blues scales in all four keys, but I’ll show you how those same scales and chords can actually be moved and used in ANY key you want. You’ll learn how to play some of the most popular slide guitar rhythms. 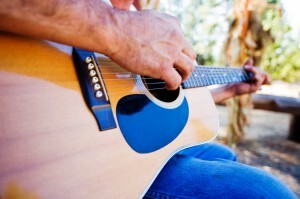 Rhythm is very important for solo acoustic guitar players. You are responsible for your own timing and rhythms without anybody else to rely on. Fortunately, playing solo acoustic blues frees you up to play your own rhythms as you see fit. You’ll be able to play the minor pentatonic and blues sounds anywhere on the fretboard. The blues and pentatonic scales are responsible for about 95% of all blues music including guitar licks, chord progressions and melodies. You’ll learn about one of the most “signature” portions of a blues song, the turnaround. I’ll explain how a turnaround works and even provide examples from one of the most famous acoustic blues guitar players in music history, Robert Johnson. Discover all about the 12 bar blues form. The 12 bar blues from is the most common blues song form. Even with just this simple lesson, you will be well on your way to creating your own blues songs. You’ll have access to several song examples written specifically to incorporate the lessons you learn. These song examples will provide real world experience that incorporates the lessons you learn on guitar. The songs are provided in order so you can play what you have learned in a song. 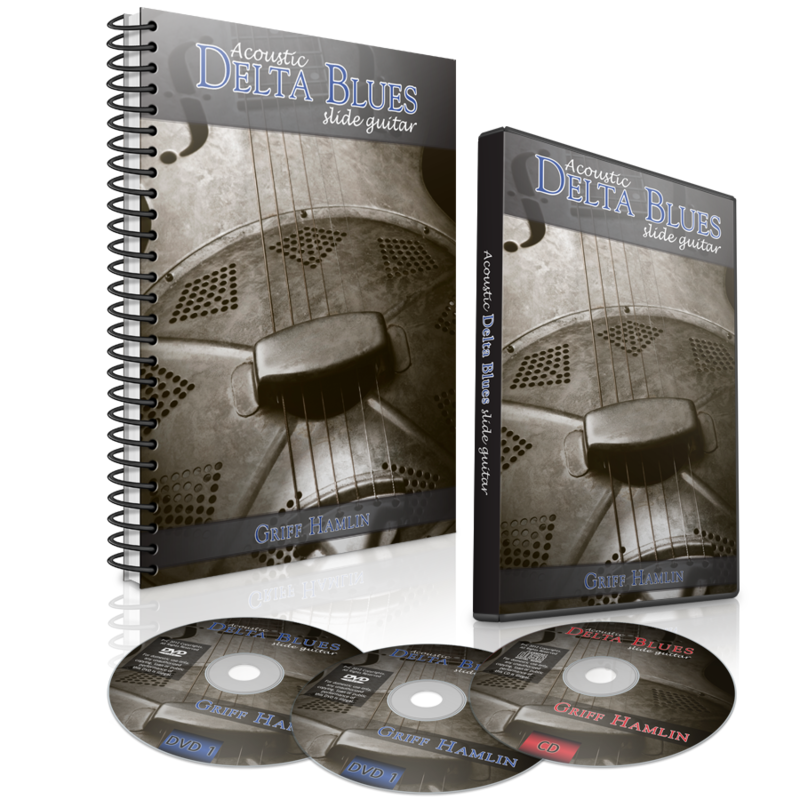 You’ll get a logical and methodical system for learning acoustic delta blues slide guitar. The book and DVDs are arranged so that you can start right from Lesson 1, page 1, and go through to the end. Every lesson builds on the lessons before it. You can go at your own pace, and you’ll know you are making progress as you master each lesson. Discover how to keep the bass going when you play solo acoustic slide guitar. Playing solo, as in by yourself with no accompaniment, poses some challenges for guitar players. We have to keep time (meaning the bass part), keep the harmony up (meaning chords), and keep the melody up (meaning the highest single notes). All these challenges are addressed in Acoustic Delta Blues Slide Guitar. You’ll learn how to use the major and minor blues sounds together. Learn how to incorporate the major and minor blues scales over your blues chords, creating the real “secret sauce” that makes the blues really sound authentic. I created Acoustic Delta Blues Slide Guitar because I couldn’t find any other products that offered a comprehensive approach to playing authentic delta blues on slide guitar. Acoustic Delta Blues Slide Guitar covers slide guitar in standard, open G, and open D tunings. Slide technique, choosing a slide, and guitar setup are all covered. Now, I’m really not here to try and convince you to invest in Acoustic Delta Blues Slide Guitar. Only you can decide for yourself if this is right for you. I’m also not going to tell you that if you buy Acoustic Delta Blues Slide Guitar, you’ll be playing like Robert Johnson or Blind Willie Johnson in 2 weeks. That’s just not realistic for anyone. And while I may not make you sound like Robert in a week, I can and will explain very clearly why he plays the notes that he plays. Armed with that information, you can choose to sound like him or not… but at least it’s up to you. Option 2: You can take private lessons… If you were to take private lessons from me (assuming you could get a time slot with me – I’ve been booked solid for years), you would pay $100/hour. 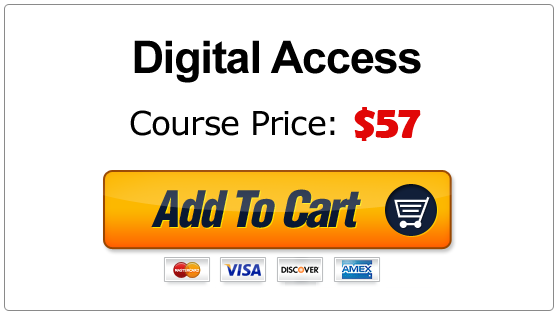 This course would take about a year to learn, so in total you would have spent a whopping $5200! Option 3: Learn authentic, acoustic delta blues slide guitar quickly, and for a fraction of the cost of private lessons, with the Acoustic Delta Blues Slide Guitar DVD home study course. I challenge you to search the Internet the way I did for a step-by-step method of learning authentic acoustic delta blues slide guitar. You’ll see there is nowhere else you can get the quality of instruction found in Acoustic Delta Blues Slide Guitar. 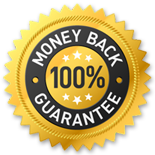 If, for any reason, you are not completely satisfied with your purchase of Acoustic Delta Blues Slide Guitar within 365 days from the date of purchase, simply return it for a full refund, no questions asked. If you decide to invest in Acoustic Delta Blues Slide Guitar today your investment is only $197$147 $77! But this $77 price for Acoustic Delta Blues Slide Guitar is only available while supplies last. A.If you’ve never picked up a guitar before, this is not the course for you. However, in my experience, most people underestimate their own abilities. If you can at least play a couple of chords and maybe strum a song or two you’ll be just fine. You can learn blues slide guitar at your own pace, in the comfort of your own home. No driving to lessons or wasting time and gas money. You have a full 365 days to “try” Acoustic Delta Blues Slide Guitar. If at any time you are not completely satisfied, simply return the product for a full and prompt refund, no questions asked. There’s no time like the present. If you want to play better blues slide guitar, you need some guidance to point you in the right direction. With Acoustic Delta Blues Slide Guitar you get step-by-step, easy to follow directions. You simply cannot fail. To get your copy of Acoustic Delta Blues Slide Guitar just click the yellow “Add To Cart” button below with your preferred delivery method. Within moments of your order being complete you will receive access instructions to the Member Portal via email. So you can be playing the blues in just a few minutes from right now! P.S. - Many of the students who had a hand in the creation of Acoustic Delta Blues Slide Guitar were exactly where you are today. The problems they faced and the information they needed is what drove me to put this all together. You won’t find a more complete guide to learning delta blues slide guitar anywhere. P.P.S – This special price of $77 for Acoustic Delta Blues Slide Guitar is only available while supplies last. When they are gone, the price very well may be higher.